The six species of flamingos found in the Americas and Eurasia-Africa differ only slightly in size and saturation. Their pink colour is an effect of carotenoids, a substance found globally in their diet of shrimps and algae. 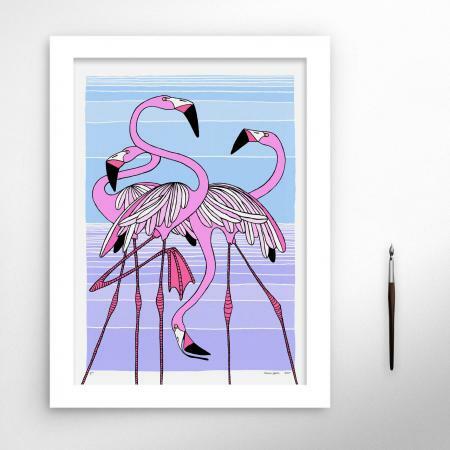 Usually balancing on one leg in shallow water, flamingos live in colonies often of thousands. Seemingly entagled from a distance, it is impossible to tell which bodypart belongs to whom.